The Finnish Institute in Japan is organizing the 20th anniversary exhibition of the Finnish art, fashion and lifestyle brand Ivana Helsinki. 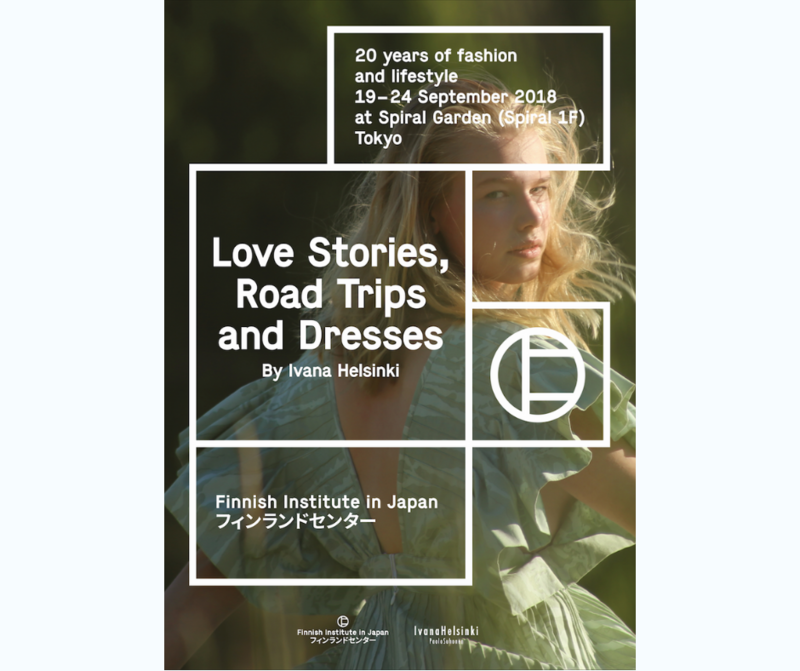 “Love Stories, Road Trips and Dresses” – 20 years of fashion and lifestyle by Ivana Helsinki showcases the journey of Ivana Helsinki from an idea to a recognisable and internationally renowned fashion and lifestyle brand. Finnish Institute in Japan is also celebrating its 20th anniversary and focusing especially on the multitalented Finnish women as role models for the women of today. Created by Paola and Pirjo Suhonen, Ivana Helsinki is most known for their unique, timeless and functional products. They have since broadened their fashion brand to a whole new lifestyle concept, expressing their own style and values – be it through unique collaborations, handmade rugs or private music shows. Presenting the fascinating story of Ivana Helsinki and a panel discussion about fashion and lifestyle with Paola & Pirjo Suhonen, moderated by the Director of the Finnish Institute in Japan, Anna-Maria Wiljanen. Avanto-Erkki, a documentary film by Paola and Pirjo Suhonen, will have its Japan premiere during the exhibition. The film focuses on the 93-year-old war veteran Erkki Makkonen enjoying his life, while preparing for the Winter Swimming World Championships in Siberia. The duration of the film is approximately 1 hour, and it will be screened daily at 11:00AM, 3:00PM and 7:00PM during the exhibition.